A great blog post on Nigeria’s plans to build a new centennial “smart” city (more of a district) for 100k people in its capital Abuja (itself a planned city that was built in the 1980s). While praising the socially and environmentally conscious planning approach that promises “a mature vibrant ecosystem,” the piece reminds us that new cities in developing countries are almost always reliant on fickle market driven investors hoping to reap huge economic playoffs from these “green and sustainable” international business hubs by quite simply plundering its countryside. These ambitious, environmentally conscious, new city projects are in themselves fantastic examples of planning and social responsibility, but as the post points out, at some point we have to take a step back and question whether our capitalist economy and its byproduct of violent ecological damage are themselves sustainable, and how do we plan and build a better version? 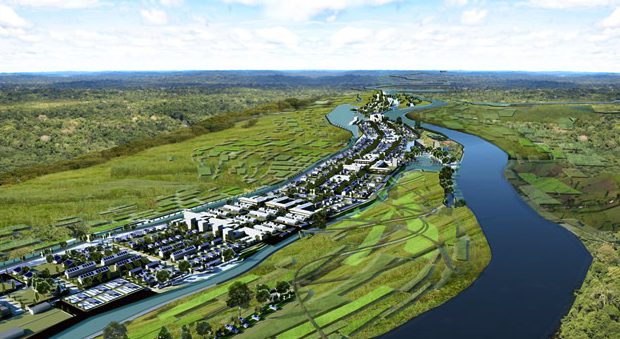 Billing itself as a kind of anti-megacity that have been the focus of urban studies in the developing world, the Anam New City project is creating a new “rurban” (mixed rural and urban) area in east-central Nigeria for approx. 30k people to live in. Funded by the Chife Foundation, the aim is to create a model for sustainable development that mixes agriculture and pastoral space and lifestyle with dense community living (and the service delivery that is possible with it) in a clustered, mixed use master plan. I’m very curious to follow this project as people move in. Unlike past African city plans, this one seems to have a better appreciation for the “rurbanism” that eventually works its way into nearly all African cities–I read somewhere that the cows in Nairobi produce some massive quantity (in the 1000s of pounds) of dung a day. Of course this is a project funded by an wealthy NGO and unlikely to be reproducible across the continent where a more likely widespread approach is the privately funded planned cities to cater to international economic development. Still it seems like the NGO is going to eventually upload a manual onto their website that shares information on how to build similar cities. Master planning isn’t nonexistent even in places considered the epitome of “adaptive self-organization” such as Lagos where the current mayor Babatunde Fashola is building planned urban housing projects for the city. 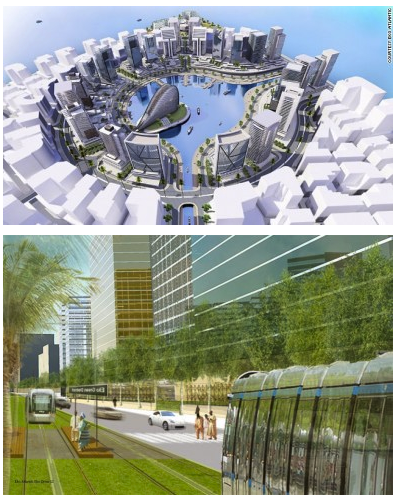 It would be interesting to see the effect of aspects of Anam New City incorporated into a kind of “nodal development” of a megacity, creating hubs of pre-planned order with services and uncongested transportation. Here’s a link to the Anam City blog. 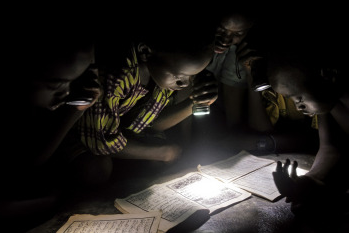 550 million of the world’s 1 billion without power live in Africa. President Obama has started a “Power Africa” initiative to provide 10 gigawatts of power at a cost of 7 billion dollars…but Africa currently needs 330 gigawatts with population growth expected to explode over the next half center. How will Africa’s new cities be powered?